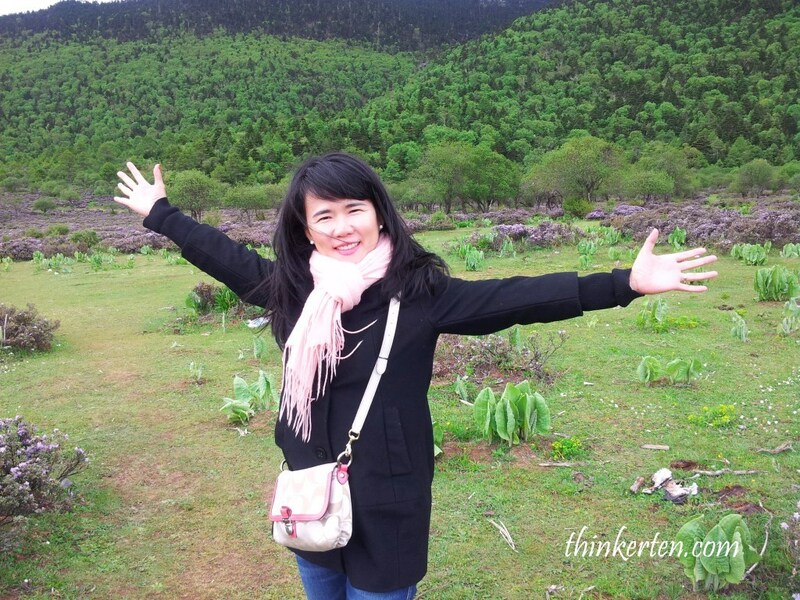 Yunnan : Shangri La/香格里拉 the Little Tibet! 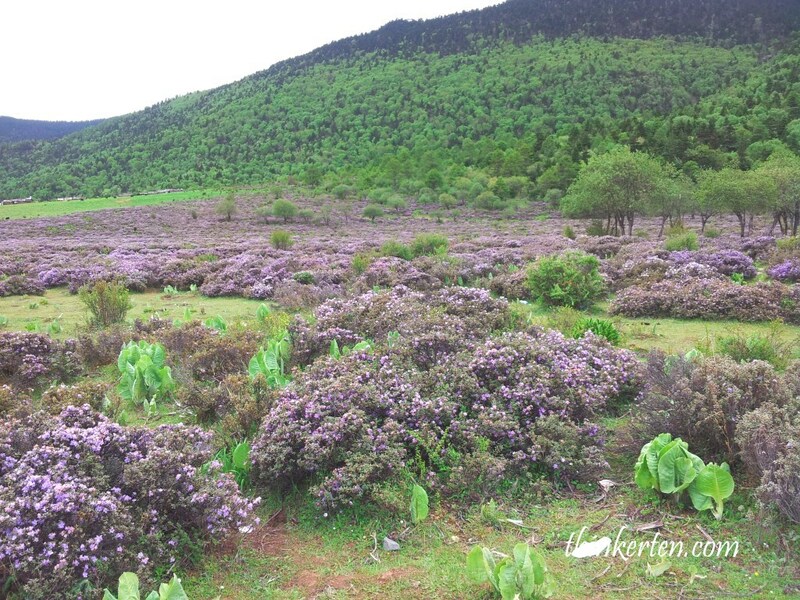 Shangri-la is located at the northern border of Yunnan Province, with Tibet to its west and Sichuan to it east. Our next stop after Lijiang is Shangri-la, only about 200 km north of Lijiang. Have you wonder how did the name came about? The original name is called Zhongdian/中甸 but then renamed to Shangri la since 2001 for marketing purposes, based on a booked by James Hilton described a fictional town in his novel Lost Horizon. 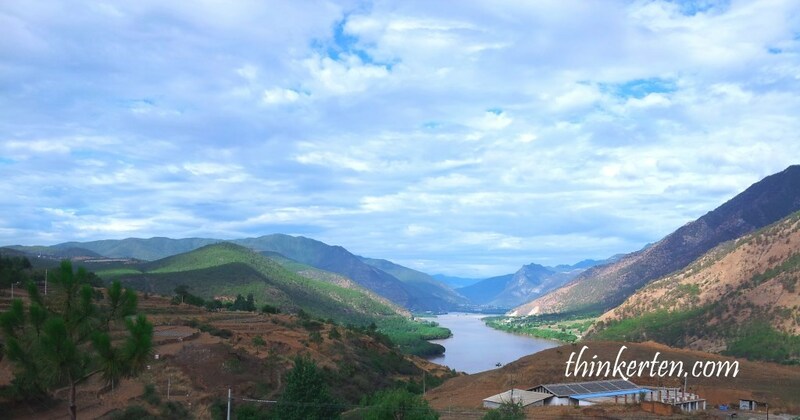 Hilton describes Shangri-La as a mystical, harmonious valley, gently guided from a lamasery, enclosed in the western end of the Kunlun. 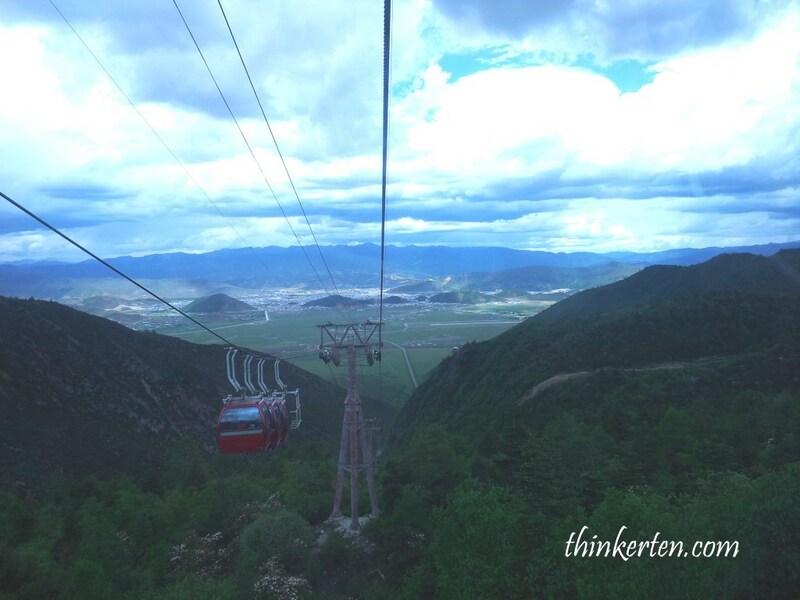 Shangri La is famous for it mountainous landscape, with alpine lakes, grasslands and gorges. I could feel we were approaching to higher altitude. We were told we need to reach up to 4000 m, luckily we were coming from Lijiang, about 2400 m so we won’t feel so much of the difference. 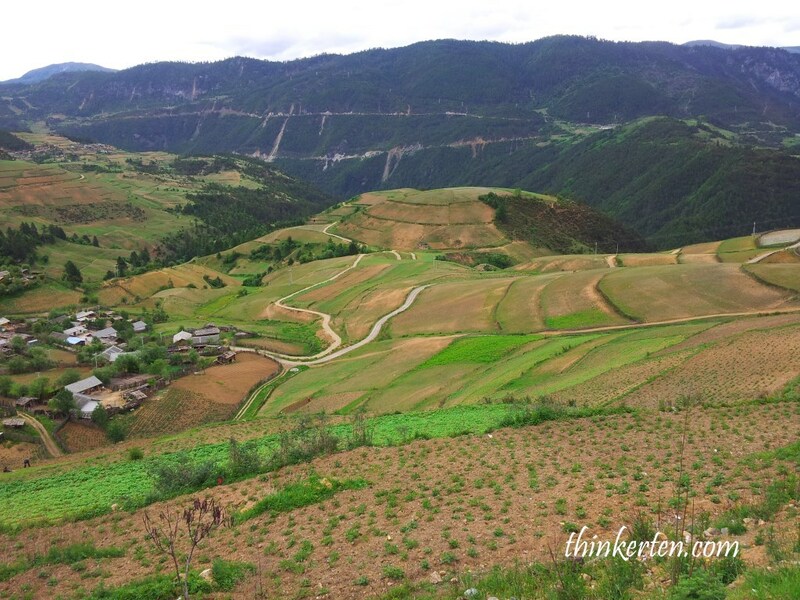 Walking marriage is a practice for the minority group of Mosuo -Women’s Kingdom. In a walking marriage, both partners live under the roof of their extended family during the day; however, at night the man will climb up the window to visit and stay at the women’s house (if given permission) until sunrise. If the child was born, the child will follow the mother side and raised by the mother extended family, the role of the father normally coming from the women’s brothers. The couples also do not stay together under one roof and remain to stay that way. If they are not happy with the relationship, they can break off and find another one as there is no restriction. 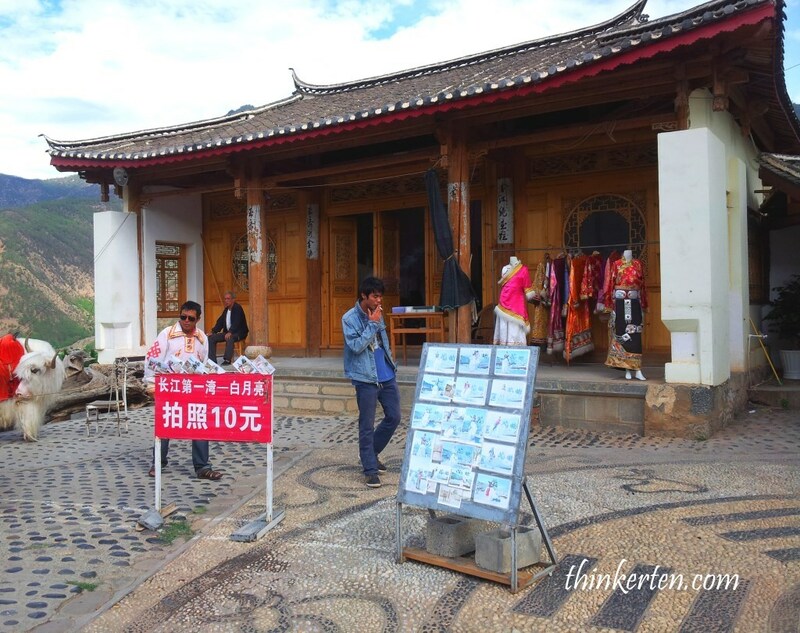 Chinese tourists are so curious about the Mosuo culture and flock this place, near Lugu Lake. 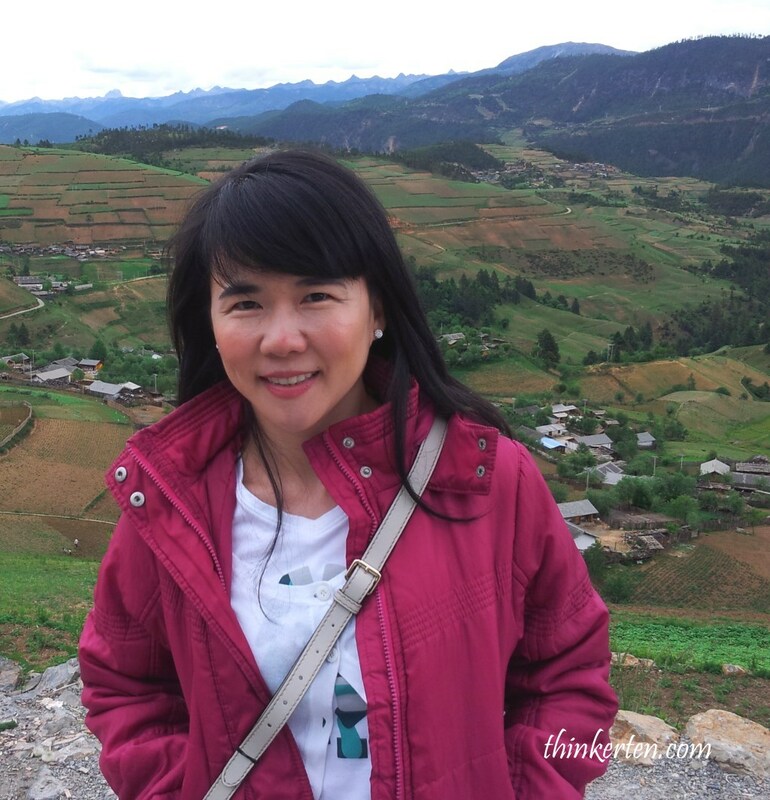 We stopped at the middle of our journey to Shangri La for a break. You can rent the traditional costume and take a picture with the white yak. It was my very first time to see a yak in real life. If you look carefully, the yak look quite different from the cow because it has very long and thick hair for the harsh weather in the mountainous area. The white yak is more rare one as compared to the darker brown or black yaks. 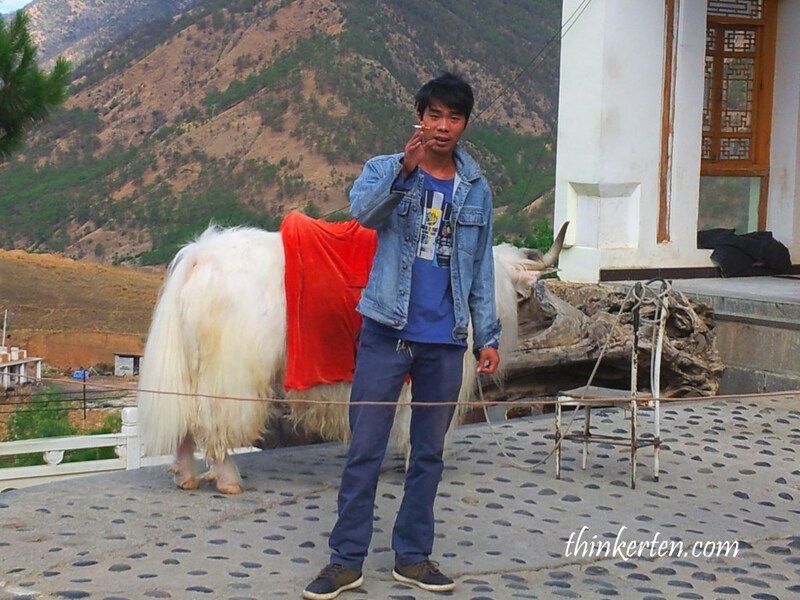 The guy who owned the white yak, asking tourists to take pictures with his hairy white yak. Shangri La is also called as a Little Tibet and Tibetan do eat yaks and drink yak milk and tea. It tasted similar to beef. I was here in summer, the month of June but I felt quite cold and layering myself with cardigan and jacket. 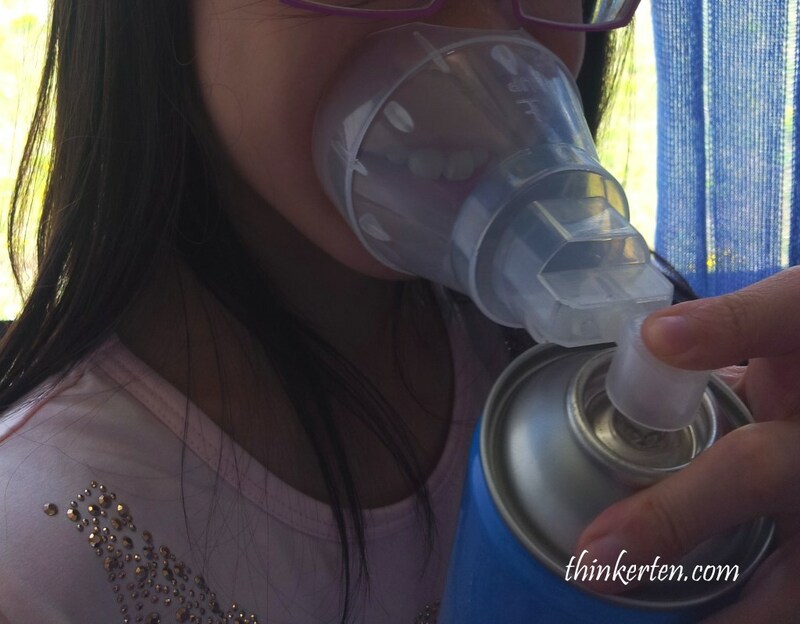 Before we went up the peak of the mountain, we were advised to get some oxygen tanks. I was constantly feeling very sleepy because of the thin air. Things get worse at night when I felt breathless and serious headache after my shower- Altitude sickness. Luckily I had spare oxygen tank to breath in the oxygen. Some old people or unfit people even collapsed in this high altitude area. Minority people in Shangri La are mostly Zang Zu/藏族 (the Tibetan People). So you can see they observe Tibetan Buddhism. Pilgrims plant prayer flags (usually very colorful )over sacred grounds as a symbol of good luck. Boarding on the cabin car to go up Shika Snow Mountain, the highest altitude in Shangri La. Two way cable cars are available up and down. 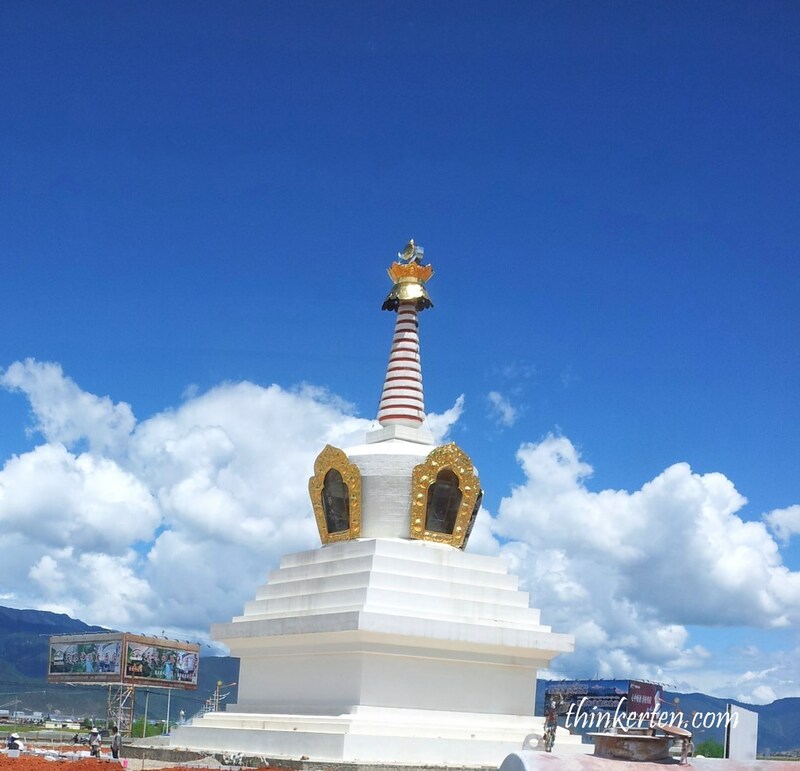 On top of the mountain, I still seeing stupa like below and there are scattered around the area. 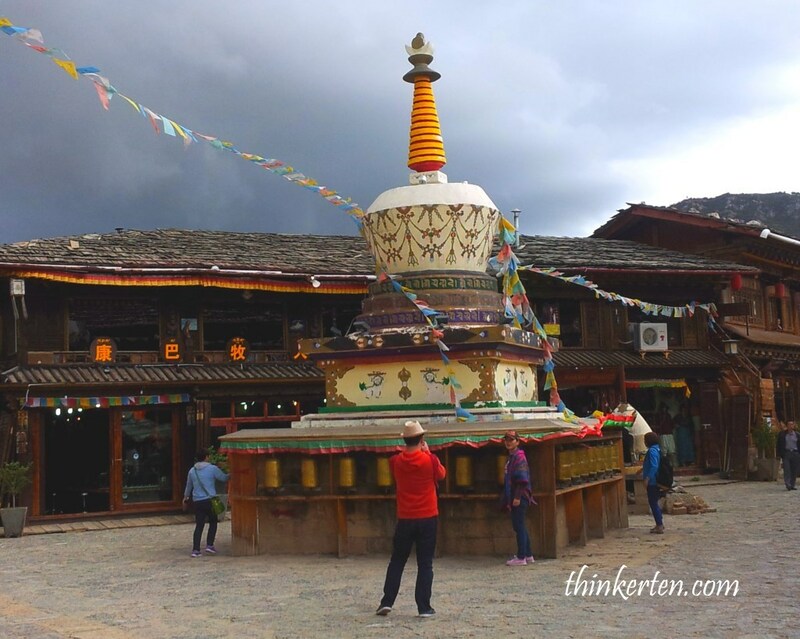 Shika Mountain is considered as the holy mountain for the local Tibetan that’s why stupas found everywhere. 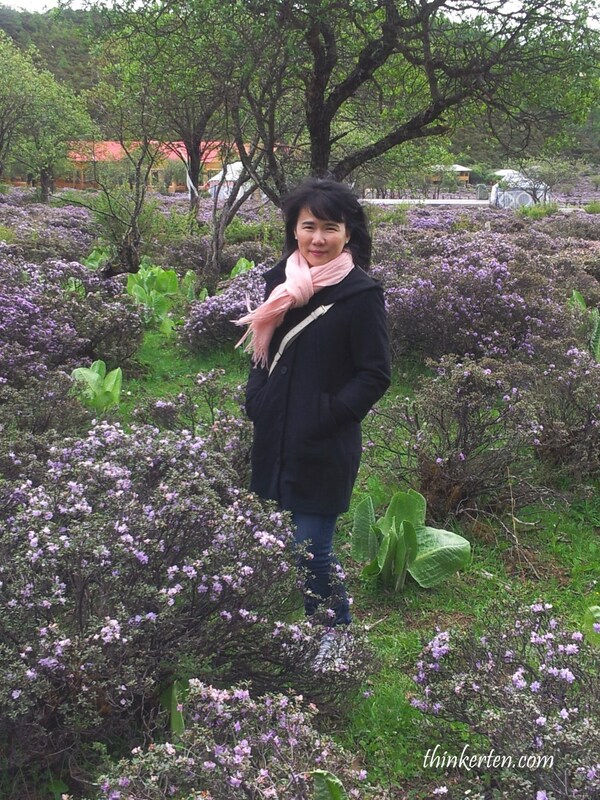 Everything is so harmonious here, the purple flowers and the lush greenery. I tried to take deep breath frequently to inhale more oxygen. The weather is even colder than before and I needed another thicker jacket to protect from the harsh wind. 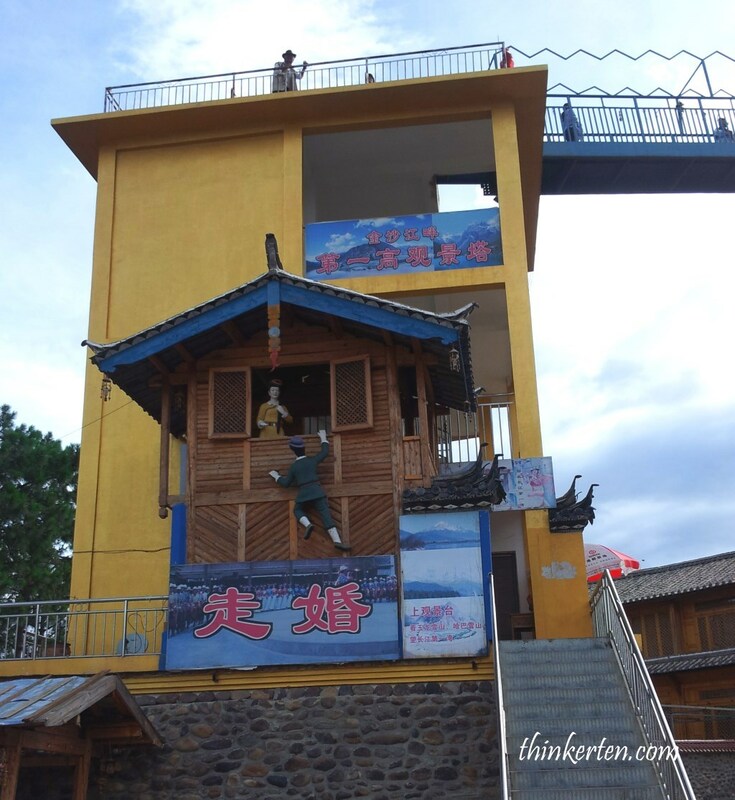 After the cable ride, you can walk up to a sightseeing platform (4,449 meters) above the sea level. Beware of the wind when you are standing at the platform, it was so strong that it almost blown me away. 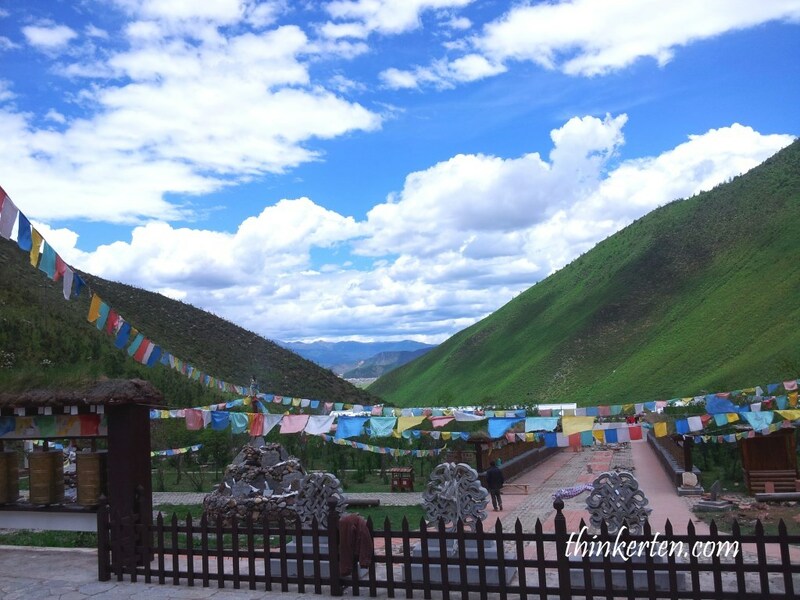 However, you can see the eight holy mountains nearby, including the Jade Dragon Snow Mountain, the Meili Snow Mountain and the Biluo Snow Mountain. So, still worth to risk you life to go up the sightseeing platform. 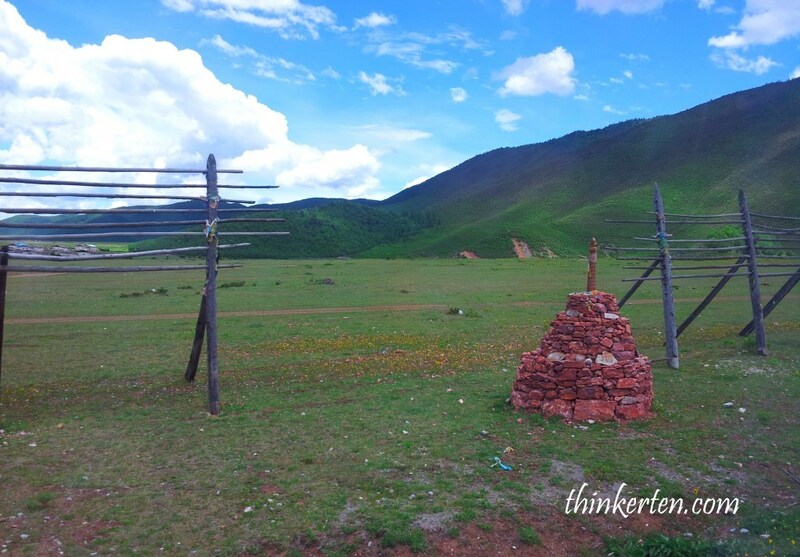 Our guide told us Sky Burials are practiced by the Buddhist Tibetans Zhang Zhu here. Bodies of dead are chopped up and offered to vultures to feed on. Tibetan believe vultures representing angel that will bring the souls to heaven. 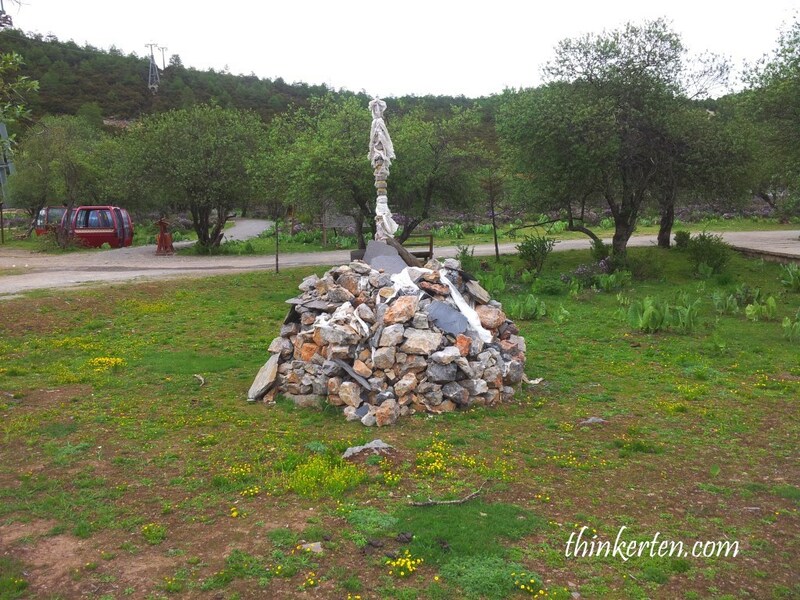 There are tourists, mostly local from other part of China interested in the sky burial and see the sky burial funeral. I don’t dare at all. 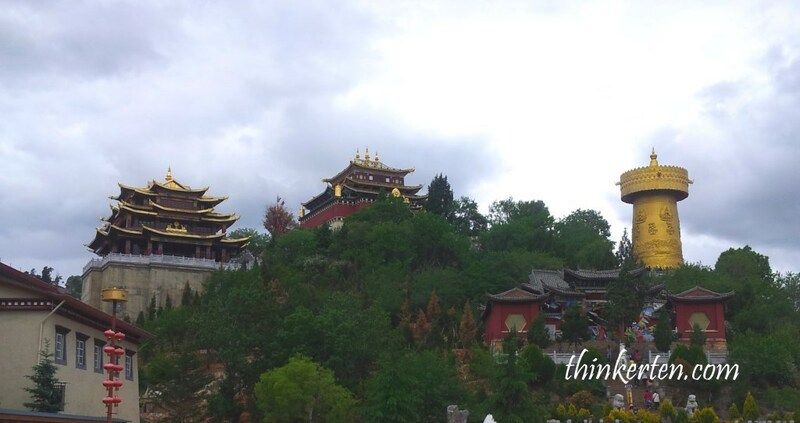 Songzanlin Lamasery is the largest Tibetan Buddhism monastery in Yunnan Province, it attracts millions of tourists locally and overseas every year. When I was there, the place was so crowded as it was summer time, best timing to visit Shangri La. I heard this place started snowing even in the month of August! You can imagine how cold it is in winter. There are quite a lot of uphill walking, do walk slowly as the air is thin. You would easily feeling headache and in serious case you may faint, if you walk too fast or running around. Everyone walk pretty slow here and I didn’t see anyone running. Tanjong Pagar also known as Little Korean Town in Singapore!